Auvergne – is an administrative region in the south central of France. Auvergne, which is an administrative region in the south-central part of France, can be called as the land of volcanic wines. This is because; this region is surrounded by the dormant volcanoes and we can see that this is the largest volcanic region in the whole European Continent. 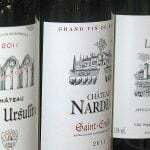 The Auvergne wine region is known to be one of the oldest wine growing regions of France and today, this region is producing a range of less popular but very fine wines. The wines of Auvergne, which were among the king’s favourites of the ancient times, are now returning back to their glorious status with the development of modern winemaking techniques. Although it is impossible to date the first instances of vines in Auvergne, it was found that there was an active wine trade in the region during the times of Romans here. And during the eleventh century A.D., the region was believed to have more than 10,000 hectares of land under vine cultivation. As such, these vineyards were believed to be planted at the heights of up to 1,000 meters above the sea level. However, due to the cooling of the earth between the 17th and 19th centuries, the heights of the vineyards were lowered to about 600 meters. Today, most of the highest vineyards of Auvergne are found to be planted at the heights of 400 to 500 meters only. Although the region looks south, the climatic conditions here are found to be in line with that of Northern France. As such, during the summers, west/southwest winds would bring rain to the western slopes of the Massif Central. In the eastern side, the vineyards are being protected by the Chaîne-des-Puys. The winters are found to be more of continental in nature and are colder. The geography and topography of the region along with the turbulent volcanic influences of the past give the region a complex range of soils. On the slopes of the mountains where the majority of Auvergne vineyards are located, we can find that the soils are dry and well-draining in nature. About 20 million years ago, the River Allier filled the valley floor with alluvium, cinders, lava, and ash thus making the region a more fertile plain. Even today, this region is found to be rich in minerals. This AOC is producing red and rosé wines from Gamay and is covering 200 hectares of vineyards spreading across 14 communes. This is spreading across 17 municipalities and is covering almost 200 hectares of vineyards. This AOC is also producing only red and rosé wines using Gamay grape variety. This AOC was named for the town of Saint-Pourçain-sur-Sioule and is considered to be an extension of the wines of Loire Valley. The Saint-Pourçain AOC is found to be covering an area of almost 640 hectares. The white wines of this AOC must contain a minimum of 90% Chardonnay and Tressalier grape varieties. Sometimes, Sauvignon variety is also added. When it comes to red wines, the varieties Gamay and Pinot noir are used. Finally, rosé wines are made from Gamay variety only. This AOC is characterized by its proximity to Chaîne des Puys and is covering almost 800 hectares of vineyards. A total number of 54 communes is allowed to produce these wines. In this AOC, the white wines are made using Chardonnay while the red wines are made from Gamay and Pinot noir. Here again, rosé wines are made exclusively from Gamay grape variety.